Kein Licht is a commission by Opera Comique to Philippe Manoury to compose an opera based on the eponym text by Elfriede Jelinek written in 2011 after the Fukushima disaster in Japan. Jelinek is Nicolas Stemann’s preferred author, and the emerging German director will adapt, both with Manoury, this text for opera staging. The subject is beyond Fukushima, it is a global and metaphorical reflection on the individual and collective responsibility on ecological and political issues, and on the human relationship to technology - here through the example of the risks contained in nuclear energy. In partnership with IRCAM, Paris, Philippe Manoury will create a musical work involving computer-music systems, adding words inputs. Collaborating with Nicolas Stemann the text and the music will be closely linked and constructed together, to create a contemporary Singspiel, German twin of opera-comique genre – alternation of spoken and sung scenes. Kein Licht is a creation with a strong European dimension, as it takes inspiration from traditional opera-comique and its Germanic counterpart, the ‘Singspiel’, popular on both sides of the Rhine. The ‘Singspiel’ is literally a ‘sung play’ which is characterized by the alternation of spoken and sung dialogues. Inspired by the works of Mozart, Die Entführung aus dem Serail and The Magic Flute are its founding masterpieces. 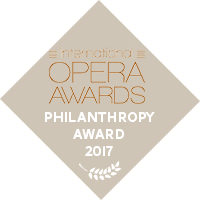 Simultaneously accessible, innovative and daring, this operatic form will be reborn in a contemporary way so as to sing and speak to a modern audience, about our faults and our achievements. With this production Opera Comique follows one of its missions to reveal the opera-comique existing, historical, repertory and to support artistic creation by questioning this musical genre with commission to contemporary composers.